In 2010 Rustenburg Local Municipality start planning for a Bus Rapid Transport (BRT) service, and commissioned the services of a team to manage the project. My role, from 2011-2014, was to establish a pedestrian and bicycle-friendly environment within the BRT route area, using a network of public spaces, and improving circulation around and access to public transport stations and stops. I also developed an NMT policy, and an overall NMT network plan that addressed transport planning, signage, regulation, infrastructure, safety, access, environment and legislation, as well as NMT status and behaviour. In addition, a campaign was designed to raise public awareness about the role of NMT and its associated infrastructure in economic development, environmental protection, sustainable transport and poverty alleviation. Deliver draft policy and plan for approval process. Develop concept sketches for NMT facilities and upgrades as identified in the NMT Plan in a radius of at least 500 metres around each of the 37 BRT trunk stations or the nearest adjacent intersection (whichever is the furthest) and along the 34 km BRT trunk route. The NMT facility concepts sketches should include the whole CBD area as defined in Figure 1. 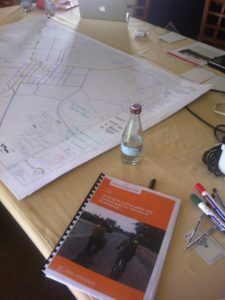 Amongst the NMT concepts to be addressed are sidewalks, cycle lanes, non-motorised signs and road-markings, pavement designs for the NMT facilities including colourisation, pedestrian lighting, placing of security cameras to be coordinated with the ITS team, street furniture, bicycle holding areas and areas for hawkers to be coordinated with the architect team. 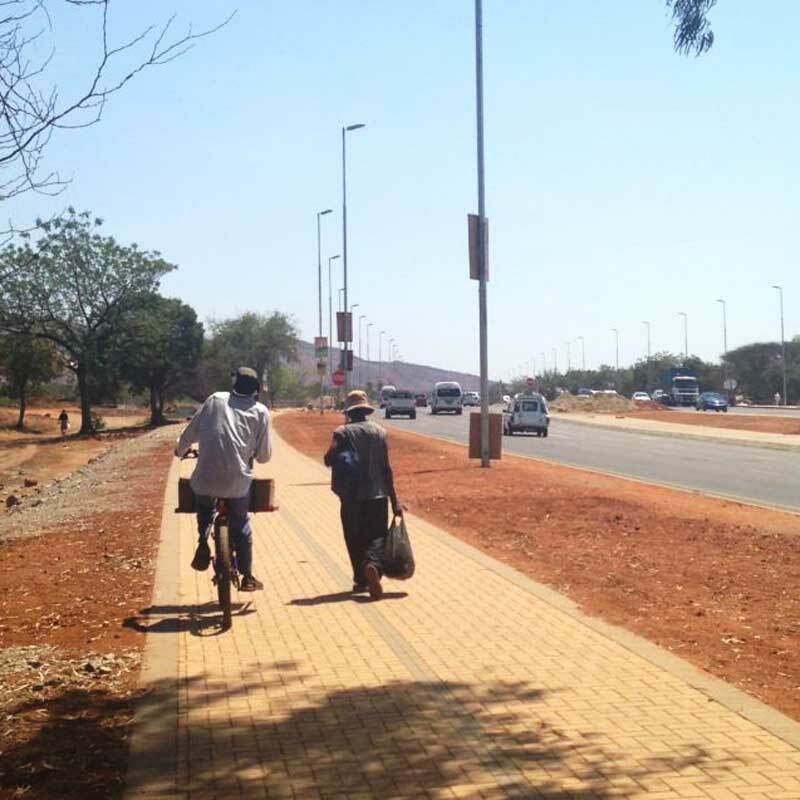 Provide a business plan/s for the integrated operation of a bicycle rental, pedi-cab services or other non-motorised transport services in conjunction with the public transport system. Address the requirements for pedestrianisation. Prepare request for quotations for NMT counts, call for quotations from local Rustenburg firms, review tenders received, assist engineers to appoint them, manage sub-consultants, approve invoices and do quality control of the data.